Better late than never…Who would have thought this was his favorite food? So I was out of town this weekend and thought I wrote a post for today but apparently didn’t. So here it is! 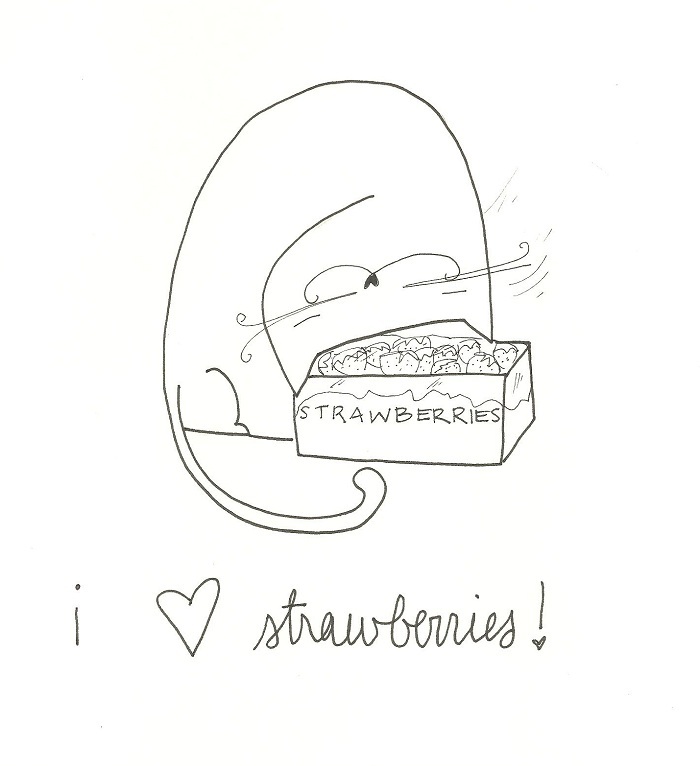 Duncan LOVES strawberries. Whenever I eat them he is always there licking the leftover bits I don’t eat. Weirdo. This predilection for nomming on strawberries was taken to a new level when I brought some strawberries home from the store one day. They were wrapped with cling wrap and were sitting on the counter in my kitchen and I walk in to see Duncan just obsessively rubbing his head all over these things. I got video of it but can’t quite figure how to get it from my phone to here…but I’m working on. No, I’m not a computer idiot and yes I’ve tried to send it to my email but the durn thing just isn’t cooperating. When I get it, you’ll be the first to know. I never really wanted this as a present but if I did, this is how it would have been. I love how how all cats seem to crave some kind of strange non-cat food. I’ve never heard of one loving strawberries before, but I had one that loved tinned corn. I would agree with that statement. Plus my cat is just weird and likes food, too.